The choir serves as an integral part of the liturgies at St. Joseph the Worker Church. Their voices represent a very wide spectrum of our parish. The choir sings at the 10:45 AM liturgy and is joined by the Children’s Choir throughout the church year. Our parish is truly blessed with such a vast amount of talent. The choir season is from September through June and rehearsals begin in August and end in the beginning of June. 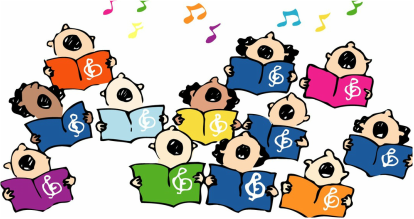 The Children’s Choir is open to all elementary grade students of the parish. The choir sings during the Children’s Liturgy at the 10:45 AM during the school year beginning with Faith Formation classes on Sunday and ending in June. The choir rehearses in the school gym every Sunday before the Children’s Liturgy. On Christmas Eve, during the 6:00 PM liturgy, the choir and other young members of the parish act out the Gospel recalling the birth of Christ. For Palm Sunday, this group also presents a Passion Play at Loretto Nursing Home on Saturday and again during the Sunday 10:45 liturgy in the gym. They join the adult choir on Easter Sunday and other Sundays throughout the year at the 10:45 AM Liturgy. The Resurrection Choir of St. Joseph the Worker Church is made up of members of our regular choir as well as other parishioners who share their talent in this ministry. This special group of people ministers through music, to the members of our church family during a time when they are experiencing great loss and sorrow in their lives. The choir sings at all Funeral and Memorial Liturgies held at our church. Anyone who would like to share in this important ministry of our music program are invited to participate. For more information or to join today, please call 315-457-6060 or submit this form.